Your smile is the first thing people notice about you. That’s why it’s important for your smile to shine. Oral Surgeons NYC offer dental oral surgery options to take your teeth to the next level, as well as treat birth defects, jaw problems, and facial trauma. With years of experience, high tech equipment, and the latest techniques in oral surgery and care, the three Oral Surgeons NYC on this list are leaders in their field. Oral Surgeons NYC, sometimes called oral and maxillofacial surgeons, offer options in dental oral surgery that include tooth extractions for impacted wisdom teeth and crowded teeth, tooth repair, corrective jaw surgery, and dental implants for missing teeth. Oral surgeons aren’t just for your teeth though. A doctor may refer a person to an oral surgeon after a jaw injury, to correct a birth defect in the mouth, or for therapy after facial trauma. Oral surgeons also perform reconstructive surgery of the face and jaw after patients have been in an accident. Some procedures are performed for therapeutic or repair purposes, but surgeries done by oral surgeons also restore self-confidence to people who have facial and dental deformities due to a congenital condition or accident. In this way, oral surgery is also aesthetic. Oral surgery has therapeutic value for chronic jaw conditions. A wide variety of oral surgery procedures can correct dental problems and jaw malformations that cause issues like TMJ (temporomandibular joint pain) and incorrect bite or tooth alignment. Oral hygiene and prevention of diseases of the teeth and mouth are a high priority. The work of Oral Surgeons NYC helps screen for and prevent oral cancer and other diseases of the mouth. Dental implants. The surgeon performs the base of the implant, then refers the patient to a dentist to have the crown placed on the implant. Here are three oral surgeons that provide high quality care in surgical dentistry and other oral surgery procedures. For dental emergencies in NYC here. Park Avenue Oral & Facial Surgery was founded by Dr. Ruben Cohen in 2010 to provide the best in oral and maxillofacial care. Cohen, who often travels to Africa and Central America to perform oral surgery procedures in developing areas, places great importance on the experience of his patients and strives to provide the highest care possible. The practice offers wisdom teeth removal, dental implants, and procedures to manage and correct snoring and sleep apnea. Patients can enjoy the ease of scheduling online. A variety of sedation options are available during surgical procedures. Hoboken Oral Surgery, located just outside of NYC in New Jersey, offers the best in wisdom tooth extractions, jaw surgery, dental implants, and treatment of facial trauma and TMJ. Lead by Dr. Calat, who completed his training at Tufts University School of Dental Medicine, the staff at Hoboken Oral Surgery are friendly and professional. Their state-of-the-art clinic provides the most advanced care to their patients. Dr. Bellafiore has been serving the residents of New York City for over twenty years. He has advanced training in oral dental surgery and keeps his office up-to-date with the latest technology. His friendly, welcoming staff make patients feel comfortable at the office. In addition to typical oral surgery procedures, he offers a range of preventative care measures to help patients avoid tooth decay and other dental problems. Why should you have your procedure done by Oral Surgeons NYC? Oral surgeons care for more than just your teeth. 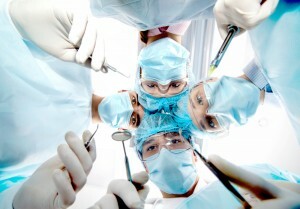 It’s important to have an experienced, highly trained surgeon who is up-to-date on the latest advances in their field. These great surgeons give their patients confidence and security in the procedures they perform. You don’t have to suffer with jaw pain, crowded teeth, or bothersome wisdom teeth. Missing teeth, jaw misalignment, and other oral problems can cause self-consciousness and a lack of confidence in your appearance. Oral surgeons can relieve you of pain, discomfort, and aesthetic concerns. Your oral surgeon will present all your options and restore your confidence in how you look and feel. They will give you a reason to smile at the world! If you are looking a Pediatric Dentist NYC, click here.